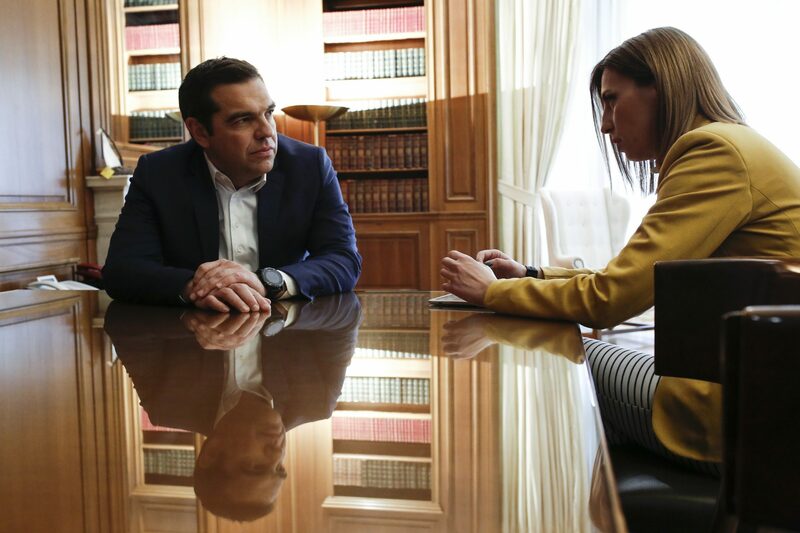 In light of Tuesday's visit to Skopje, Greek Prime Minister Alexis Tsipras refers to the future plans for bilateral cooperation and the importance of the Prespa Agreement in an interview with MIA, the first for a media outlet from North Macedonia. 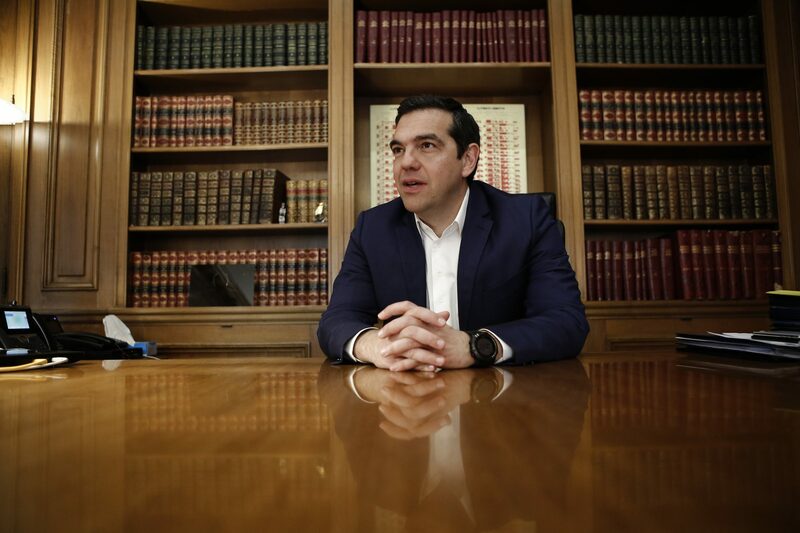 Athens, 1 April 2019 (MIA) – In light of Tuesday’s visit to Skopje, Greek Prime Minister Alexis Tsipras refers to the future plans for bilateral cooperation and the importance of the Prespa Agreement in an interview with MIA, the first for a media outlet from North Macedonia. PM Tsipras says the visit is of historic significance, based on the new strategic vision for both countries. The delegation will include ten ministers, with series of agreements to be signed in different fields. Tsipras says Greece and North Macedonia must be partners and allies, and sends a message that Athens needs a stable and secure northern neighbor, while Skopje needs a strong neighbor that supports its European perspectives. Prime Minister, this is your first interview for a media outlet from North Macedonia, shortly before your visit to Skopje. As you said it yourself at the Delphi Economic Forum, you will be the first Greek PM to officially visit North Macedonia. This is a historic visit for both countries. You will be accompanied by a delegation comprised of ministers and businessmen. What is on the agenda, will you sign any agreements? – This visit is historic, based on the new strategic vision for our countries. Greece and North Macedonia must be partners and allies. The Prespa Agreement outcome is not only about the name issue and unlocking North Macedonia’s European and Euro-Atlantic prospects. The agreement has laid the foundations for strong bilateral relations encompassing cooperation in international, European and regional terms. In this regard, the High-Level Cooperation Council will hold its first meeting, including ten ministers from a number of areas (economy, energy, defense, foreign affairs, infrastructure, transport, agriculture development, digital policy, health), along with the first business forum with dozens of businessmen from our countries. We will also discuss the Action Plan that involves all categories of our cooperation, a defense cooperation agreement, the agreement on opening of a new border crossing Promahi-Majden, a cooperation memorandum regarding North Macedonia’s accession process, energy, infrastructure development, civil aviation services. Of course, we have made swift progress on important changes arising from the agreement, which as any other deal, will be tested in critical areas as time goes by. Therefore, the dialogue and the trust we have established at all levels, beginning from mine with Zoran, is precious. We will need to discuss different aspects of the Prespa Agreement implementation to focus on. The first decisions of the Joint Inter-Disciplinary Committee of Experts over the textbooks will also be signed, and we will announce the establishment of a very important Committee on Trademarks. In parallel, we will discuss regional developments, taking into consideration the big changes on the energy map. We will tackle the quadrilateral formations that Greece has established with North Macedonia, Albania and Bulgaria at the level of ministries of foreign affairs, and with Bulgaria, Romania and Serbia at the level of PMs. Talks will also touch upon the Berlin Process, the 16+1 Process with China, and the economic perspectives resulting from last year’s Thessaloniki international exhibition, where the United States took part as an honorary guest-country. How important is Greece’s role for North Macedonia’s European perspective, but also the country’s economic development? – EU is going through a difficult period and many forces tend toward introversion or isolation as a response to the challenges of our times. Arguments benefiting enlargement – even for countries such as North Macedonia that have been consistent with their commitments – come across much more resistance today when compared to the past. I believe the activities of the Greek diplomacy in 2018 for the start of North Macedonia’s accession process this June, but also the recent formation of the Group of North Macedonia’s Friends in the EU, highlight Greece’s importance in this regard. 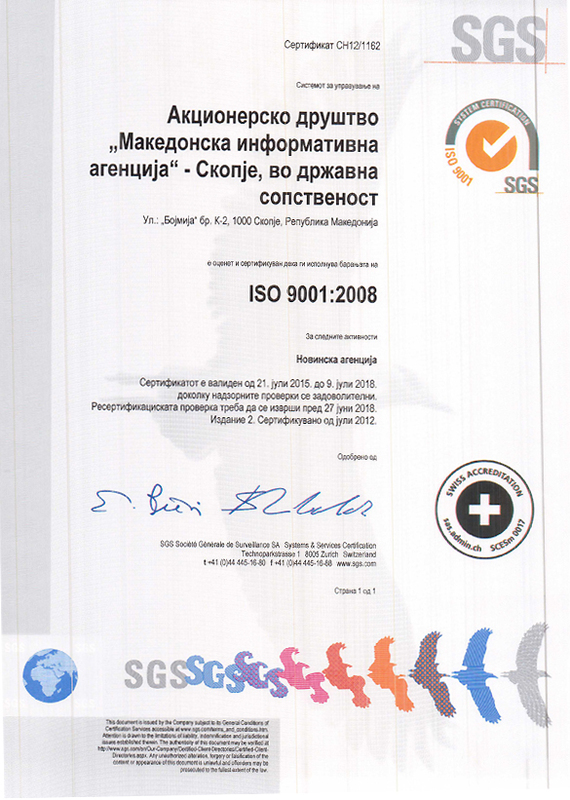 Pertaining to the economic development, your citizens are aware about the role that Greek companies already have in your country. I believe we can move even further and the business forum will tackle this aspect. The Prespa Agreement caused an “earthquake” on the Greek political scene. Did you expect this? Has the agreement had a political price? Are you afraid that the political price for you personally, but also SYRIZA, will be reflected at the coming elections? – If my government had been afraid of the political price, it would not have taken the country out of the crisis and the memoranda, nor found a solution to the insurance system, managed the refugee crisis, solved the name issue, promoted the required dialogue with Turkey despite the enormous difficulties or made radical changes in the field of human rights. The agreement inspired many who have recognized it is viable to solve international differences by mutual respect, while securing one’s interests and without humiliating the other side. However, this came at a price, because a significant portion of the Greek people was and still is seriously concerned about this issue. It is our responsibility – mine and Zoran’s – to show that our nations can only benefit from the path that is now open. It is also our duty to challenge the rising forces of nationalism, which strive towards bringing us back to the dark ages. On the negotiations, was there a moment that can be seen as especially difficult or critical? – I believe we went through many critical moments. Especially in the final days before closing the deal, when critical unresolved issues required delicate management. But this helped one side to understand the sensitivities of the other and find solutions. Alongside Zaev, you received an award at the Munich Security Conference, you are both candidates for the Nobel Peace Prize, facts that demonstrate the international acknowledgment of the Prespa Agreement. Do you believe that the agreement will help solve other issues on the Balkans, a region often seen as a powder keg in Europe? – I do not believe that the Prespa Agreement, as such, must serve as model for other disputes, since they have their own distinct features, other risks and other geo-political framework. I believe that the meaning of mutual respect and the search for a mutually acceptable solution, which represents the foundation of the agreement, should be the basis for solution of international differences. It is clear that the agreement creates dynamics in our region and we hope that this deal can help the solution of other international issues. What is your message for the people of North Macedonia ahead of your visit? – The message is clear: we must build mutual trust and North Macedonia should look to the future. Our region requires cooperation and stability. Greece needs a stable and secure northern neighbor, and North Macedonia needs a strong neighbor that supports its European perspectives. Considering the Prespa Agreement and the perspectives it opens, Greece will be your main ally and protector with regards to political stability, economic cooperation and development, military cooperation and security. When will you again put on a tie? Do you keep the tie that Mr. Zaev gave you at the Prespa Agreement signing event? – There is no taboo, my public appearances come without a tie. I have a large collection of ties given to me by a number of leaders, including the one by Zoran. Zoran’s tie is not in the closet but in the drawer of my desk, reminding me of a historic moment, the bold step towards friendship and cooperation between our nations.